J-Con Concessions, the park concessionaire, sponsored the Friends of Allegany 2019 Newsletter recently published and uploaded. 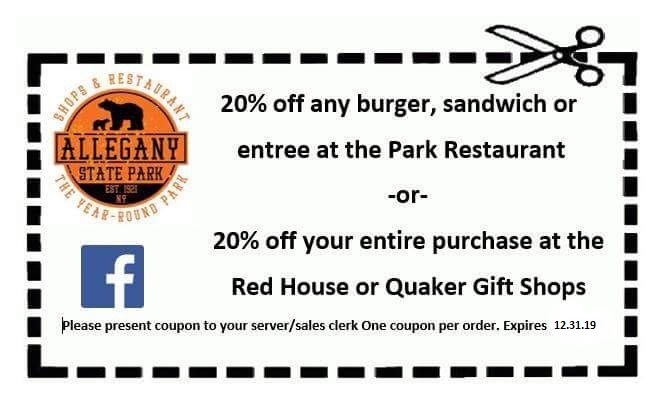 You can either print this coupon out or show it from your smartphone to your waiter or waitress at the Park Restaurant or cashier at the Park Gift Shop. Thanks J-Con for your continued support of the Friends of Allegany State Park!